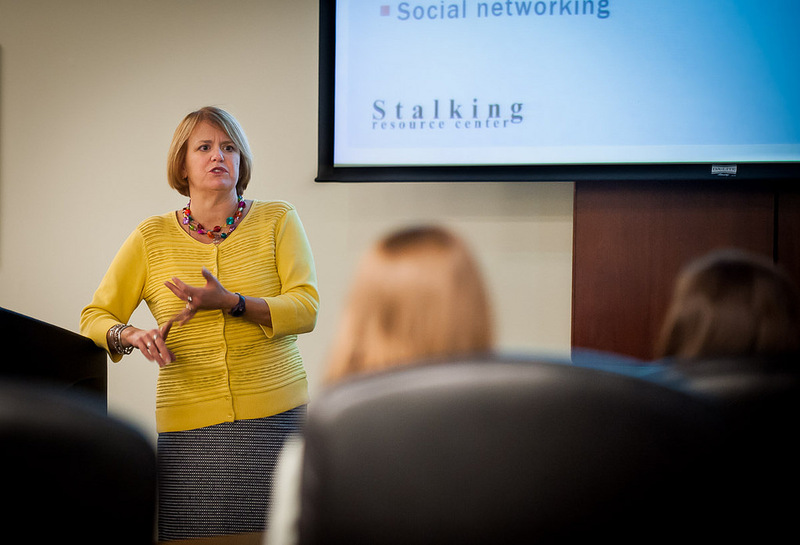 On January 19 and 20, 2016, Wright State University hosted national speaker, Debbie Riddle in conjunction with National Stalking Awareness Month. Debbie Riddle gave a total of five different presentations to students, faculty and staff which educated the community on stalking and then showed a documentary on the crime of stalking. Following her sister’s death, Riddle partnered with the Stalking Resource Center and the National Center for Victims of Crime. Her efforts led to Congress recognizing January as National Stalking Awareness Month. For a digital link to the campus presentation, please email oei@wright.edu.